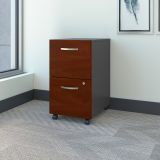 Bush Business Furniture Series C: Hansen Cherry 2 Drawer Mobile Pedestal - Assembled - Series C Executive Modular Desking configures in dozens of ways, giving you the ability to maintain a more efficient and private office environment. 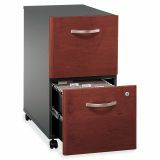 Combines style, functionality, durability, storage, nonhanded configurability. 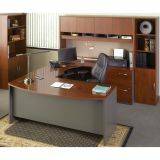 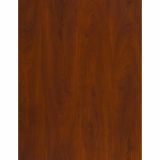 Durable 1 thick worksurfaces and end panels resist scratches, stains and abrasion. 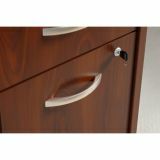 All worksurfaces have dent-resistant and scratch-resistant, 3mm, solid PVC edgebanding. 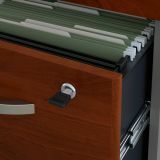 Desktops have wire-management grommets for computer cables, telephone cords, electrical wires. 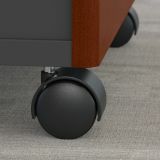 Mobile pedestal rolls underneath any desking shell. 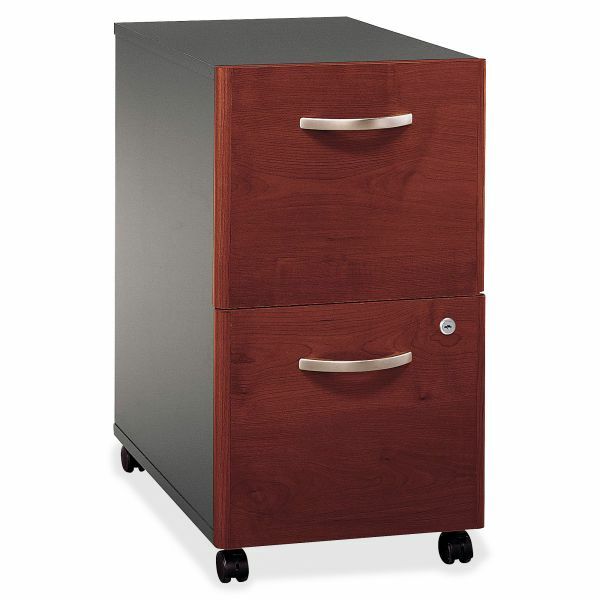 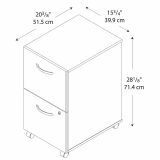 Lateral file offers an interlocking drawer mechanism that prevents tipping for added safety. 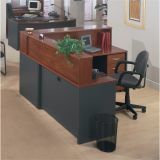 Fabric-covered tackboard standard on all hutches. 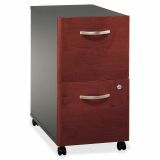 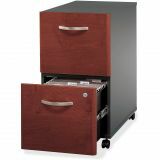 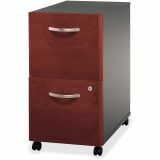 File drawers feature full-extension, ball-bearing slides, and accommodate letter-size or legal-size files."